CMD Studio 4A, MIDI Control Surface for DJ from Behringer. 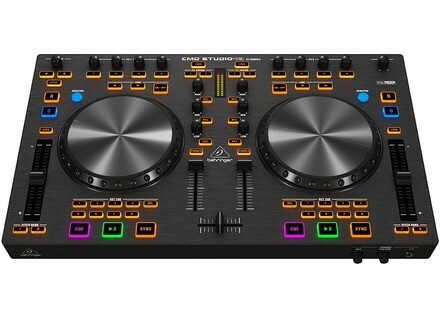 Behringer introduces at NAMM 2012 its series of CMD controllers for DJ, including a control surface and six MIDI modules. The CMD Studio 4A MIDI USB control surface lets you control 4 virtual turntables and includes a 4-channel audio interface, along with 24-bit converters. No pricing or availability details at this point, but you can check out www.behringer.com/EN/Category/USB-MIDI-Controllers.aspx?s=O500.